It’s all about the visuals, appearance, body shape, the numbers. During my 12 years of being in the personal training industry most of my studies have been focused on anatomy, and the science of physiology, fat loss, muscle building, styles of training (weights, cardio, sports performance, flexibility, etc). However over the last 2 years about 80% of my studying has been on psychology and approx only 20% on physiology: training, nutrition, etc. The last 2 years have been my most successful from a client transformation perspective because i’ve learned how to help people ‘mentally’. When you get the mind in a better place the body will follow. The clients who manage to sustain their results long term embody a new, healthy identity. It’s about slowly re-programming your brain to do what you want. It can take time but it’s the only way to achieve long term success. What ever you believe is true. If you believe you can…you can. If you believe you can’t…you can’t. 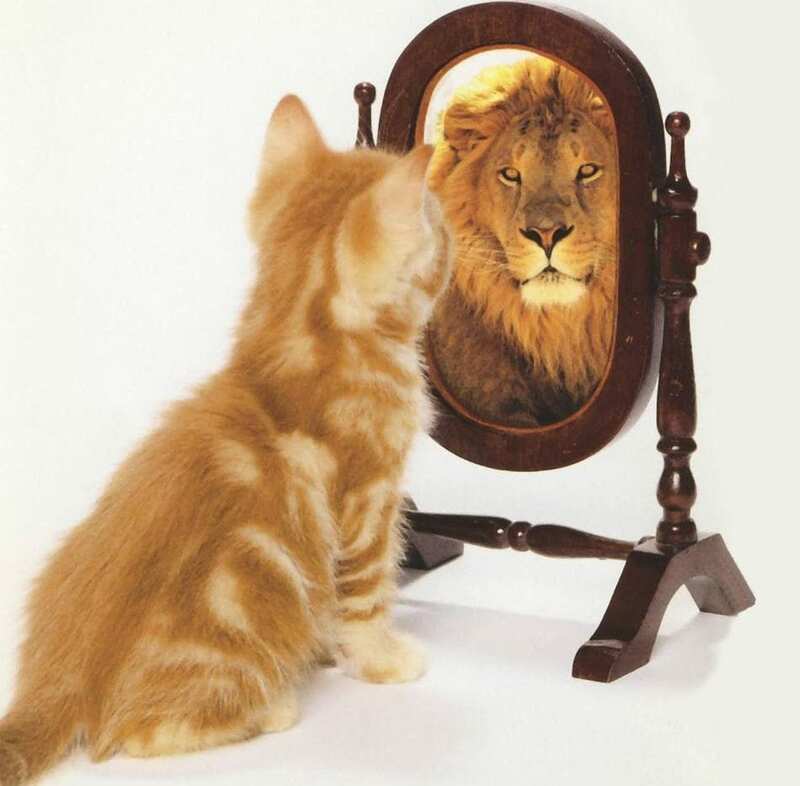 The beliefs and thoughts that we have about ourselves become a self-fulfilling prophecy and we attract into our lives what we believe about ourselves. One of the things we need to focus on is improving our mindset. Looking at positive ways to achieve our goals. Rather than focusing on all of the reasons why we can’t achieve them (time, genetics, money issues, etc, etc) we need to focus on making it happen. The more your mind is programmed negatively the more work you will have to do. If we tell ourselves the story that ‘we are a failure and can’t do it’ enough times, we start to believe it and it can be very difficult to change. The truth is that it’s just a story that’s been reenforced. We can replace that story with a more positive one, and reenforce that until it becomes the dominant force in our daily lives. Clients who achieve awesome transformations are no different genetically, they just have a bunch of postive daily habits which they act on consistently. For example we all have daily habits, whether that’s brushing our teeth first thing in the morning, or driving to work at a set time, eating a take-out on a friday night, going down to the pub on a weekend, etc, etc. Most adults stick to a similar routine every week and therefore they continue to get the same outcomes each week. In order to change your life you have to change your habits and keep practicing them until they become automatic. It’s hard to start with, because it requires effort. In order to change though it has to be done, and the longer you do it the easier it gets. I tell clients that the first 24 hours can often be the hardest, but it gets easier as each day passes. After 3 months you will be a completely different person. How aware are you of your feelings? Do you reflect on your day? How often do you take time to pause? The number one thing that throws clients off is emotional issues: relationships, work situations, family, friends, etc. A client can be doing great with exercise and nutrition but then…BOOM! they get into an argument with their partner and they go off the rails. All of us have things going on in our personal lives that can affect us. We all share similar problems, although in different contexts. What separates those who achieve great results from those who don’t is their ability to bounce back quickly. It’s okay to have a bad day, or bad week even! but don’t let that turn into a bad year, or a bad life! The more in tune you become with your emotions, and the quicker you recognise them when they take you over… the better you will be able to navigate your way through the obstacles of life. It’s easy to look for others for approval. Many people spend their lives looking for approval from partners, friends, parents. If they give us compliments (and likes on Facebook lol!) we feel loved, but when people say horrible things or fail to notice us then we feel abandoned, isolated and not good enough – like there’s something wrong with who we are! 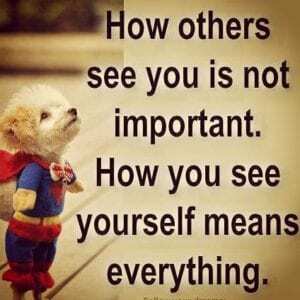 Your own self esteem (how you view yourself) is so important. Nobody is perfect, we are all trying our bests with what we know. We make mistakes, say things we regret, and don’t always get things right. But you are a human, who deserves to be loved, and the only way to get that is through YOU. Nobody else can give it to you. The key is to work on both mind and body at the same time. To get physical results you have to do physical things, like exercise and eat a certain way. But in order to do this repeatedly you need your mind to lead the way. In my opinion the best way to do this is to hire an expert, somebody like a personal trainer or life coach. Although a coach can help you enormously, you’ve got to also spend time studying by yourself. Whether that’s reading a book, or listening to a podcast or audio book.